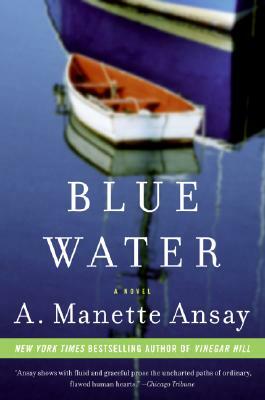 From New York Times bestselling author A. Manette Ansay comes an unforgettable story of two families united by tragedy -- and one woman's deeply emotional journey toward a choice she'd never thought possible. On an ordinary morning in Fox Harbor, Wisconsin, Meg and Rex Van Dorn's lives are irrevocably altered when a drunk driver -- Meg's onetime best friend, Cindy Ann Kreisler -- slams into the Van Dorns' car, killing their six-year-old son, Evan. As Meg recovers from her own injuries, she and Rex are shocked when Cindy Ann receives a mere slap on the wrist. In their rage and grief, they buy a boat to sail around the world, hoping to put as much distance as possible between themselves and Cindy Ann. But when Meg returns to Fox Harbor for a family wedding, she's forced to face the complex ties that bind her to the woman who has destroyed her peace.